Description Mario in Jeep is a great driving game. 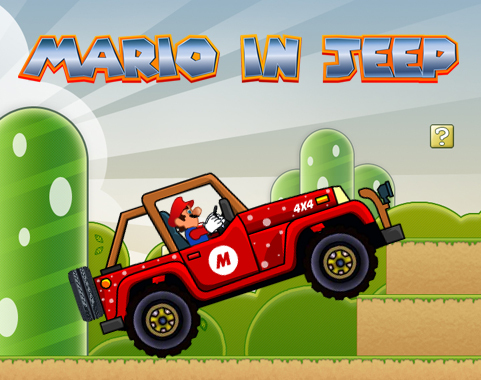 Mario has bought an Jeep to start his adventure trips in the mountainous area. This new car is stunning! He can drive as fast as wind, collect stars and coins. Let's go out travelling with Super Mario!